Friendly Bean Farm to Table — New Horizons Rehabilitation, Inc. The Friendly Bean is now providing our customers with fresh, organic greens for their salads and sandwiches thanks to our Hydroponic Tower Garden! This Tower Garden would not have been possible with out the support and funding from Oxbow, Inc. The Lawrenceburg Public Library and The Friendly Bean are excited to have raised garden beds in the courtyard! Not only will you enjoy fresh produce in your lunch but you can also admire the beauty and serenity while eating your lunch or enjoying a cup of coffee and sweet treat outdoors on the new patio. These beds would not be possible without the partnership from the Lawrenceburg Public Library, SEI Community Gardens, and Purdue Extension of Dearborn County. 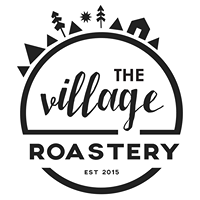 The Village Roastery is family-owned and operated. They provide us with all of our coffee beans that they source (still green) from around the world and then home-roast them. Not only is this the best coffee but 100% of the profit goes to orphan advocacy - both locally and globally! Just think... every cup of coffee that is purchased at The Friendly Bean is supporting individuals with disablities and orphans. Greystone Farm is family-owned and operated. They sell us our high quality/farm-grown, pasture raised beef! DJ's Bakery is family-owned and operated. They also supply us with our delicious and fresh bakery rolls!